SR 1 to R on Salt Fork, R on Jackson Ridge, R on Salt Fork Ct. 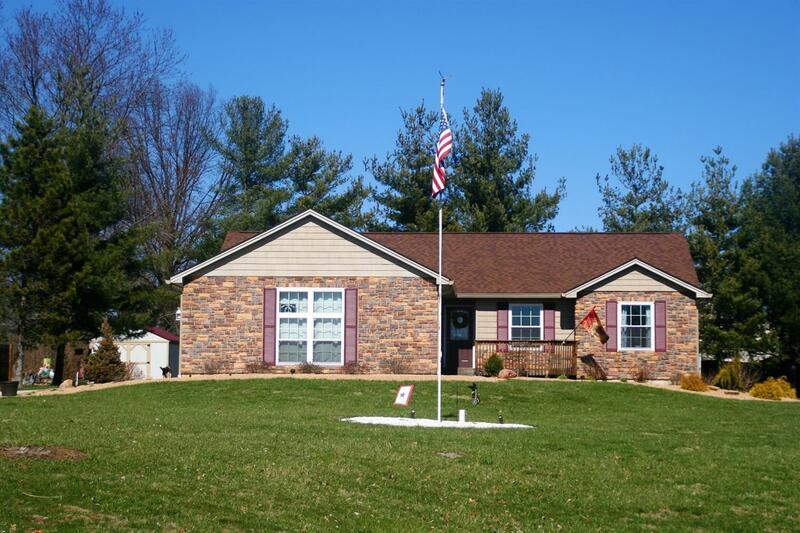 Transitional ranch w/open flr plan & lots of upgrades! Vltd main room is GR, Dining & Kitchen combo, w/corner stone FP. Kitchen offers a 12' breakfast bar, stainless appliances, extra height upper cabinets & stone backsplash. Vltd MSTR w/BA & walk-in closet. Finished LL has FR w/wet bar, 2 BRs, BA & exercise Rm. Cvd deck, yard barn, A.Ground pool.